With all the news circulating over the past couple of years regarding the weakness of the watch industry, there were certainly many doubts going into this Baselworld 2017. In true form, the “big-box” brands like Rolex, Omega, Breitling and more still managed to woo quite the audience with their new watches of 2017, but even more impressive and surprising at the same time were this year’s independents. One in particular that caught my undivided attention was H. Moser & Cie. 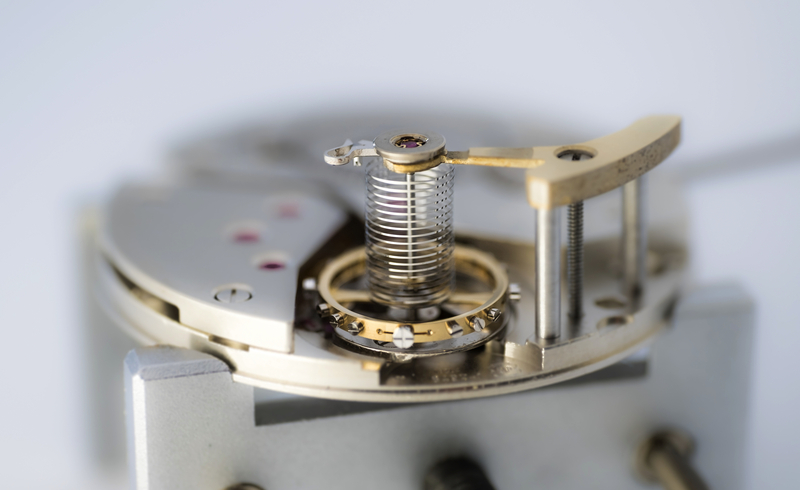 Ever since their revival many years ago by the Meylan family, H. Moser & Cie under the direction of outspoken maverick CEO Edouard Meylan (one of the youngest CEOs in the industry) has impressed many watch collectors of all types with their perfectly understated watches that do not reveal too much unless you look close enough. To be fair, I also tend to have an affinity for watches that come out of the Schaffhausen region, likely due to my love for IWC. Although H. Moser & Cie dwarf in comparison to the larger Schaffhausen player IWC, the similarities of aesthetic qualities and mechanical beauty are very close. My theory is it may have to do something with Schaffhausen being very close to Germany that makes influences easily transferrable in many respects. Like IWC, H. Moser & Cie follow very clear and simple lines that accentuate the actual functions of the watch while the rear reveals a plethora of mechanical goodness and beautiful hand finishing. Over the years of its new existence, H. Moser & Cie has certainly created a nice healthy range of watches that most collectors can thoroughly enjoy, except with watches like these, one can always expect a pretty high price tag which is definitely the case here. However, this year, they decided to take on another approach away from traditional high-end luxury and threw their hat into the ring into the sporty luxury category. In a category that is dominated by powerful names like Audemars Piguet, Patek Philippe, and even neighboring manufacturer IWC. The *Pioneer Center Seconds Automatic* is the first Moser collection to be fitted with a rubber strap. Particularly with rubber, there is always a very delicate balance between what may be considered too sporty versus not. 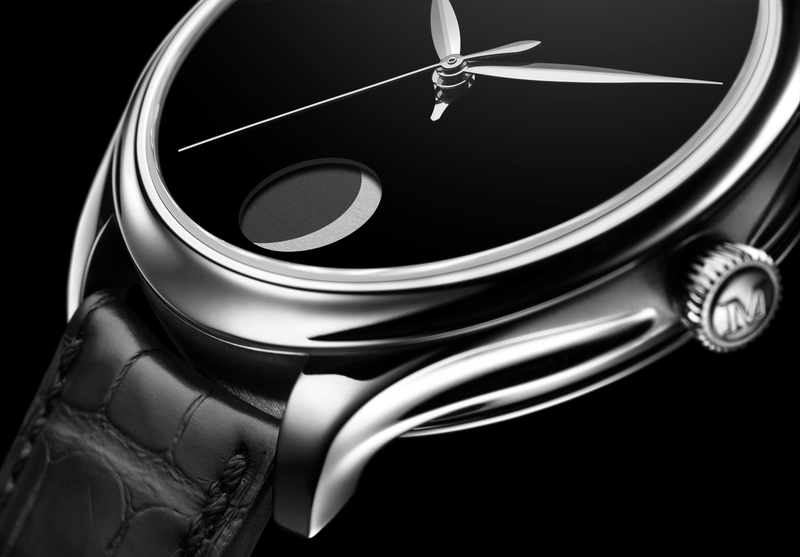 In this case, elegance was not compromised and the stainless-steel case features beautifully cut lines on both sides that offer unique depth, unlike conventional stainless steel cases. Additionally, this is also the first time stainless steel has been used in the company’s regular collection. 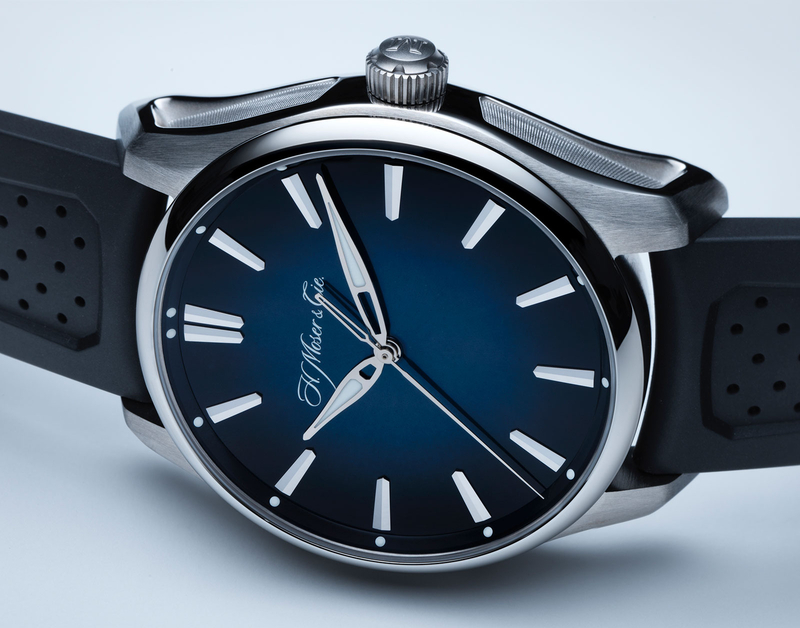 As an entry-level stainless steel piece, an entirely new category for a company known for dressy timepieces, I can honestly say “job very well done.” All details of the watch from the 42.8 mm case (11.3 mm thick without crystal), 3-day power reserve (72-hours), midnight-blue fumé dial with sunburst pattern, and the finishing of their 100% Swiss made automatic in-house caliber HM 200, are just simply well executed, and in my opinion, represent more watch than the $11,900 price tag suggests. 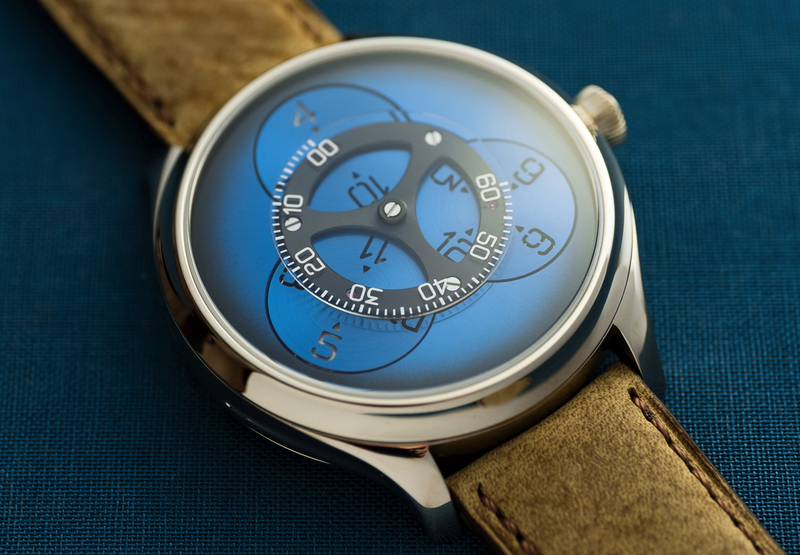 I’m eager to see this watch in the metal. Learn more at H. Moser & Cie.